7.5 oz. 100% combed ringspun cotton. A more stylized track jacket. 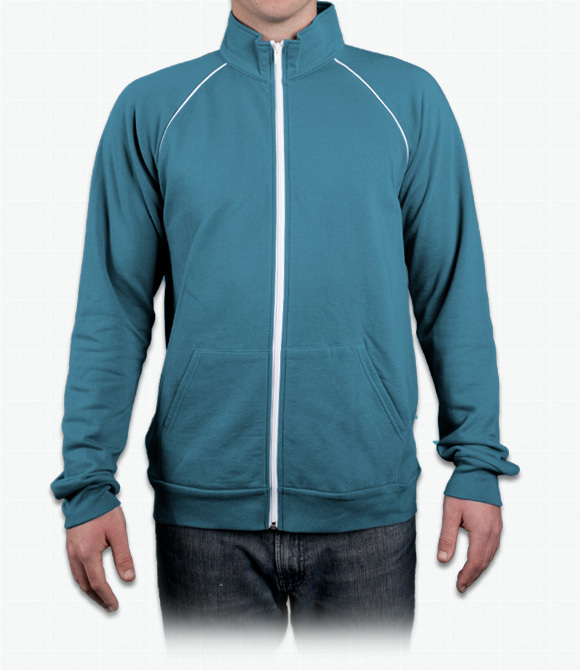 Great for casual setting when typical sweatshirts are too informal. Look good and stay warm. Slim fit. "I absolutely love the shirts! They came out amazing!!! Can't wait to show off my design to my coworkers and place another order!" "We really loved the finished product! It looked just like the design on the online image! Thanks ooshirts...you have gained several happy customers!" "It is very soft while looking very athletic and full of team spirit. It will definitely get a lot of attention on our campus."